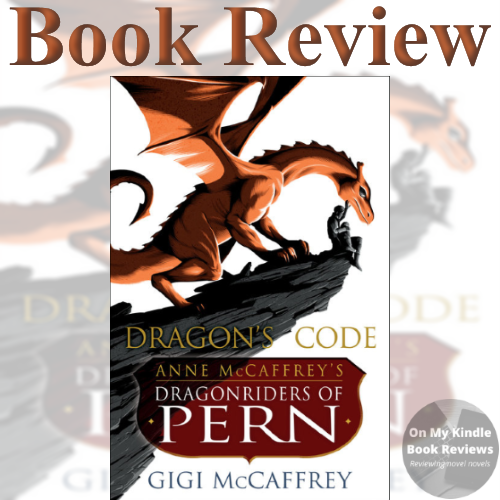 Dragon must fight dragon as one of the world's most beloved series in sci-fi histoy - Anne McCaffrey's The Dragonriders of Pern - relaunches with an all-new adventure. The world of Pern has for centuries depended on its dragons and their riders to protect it from total annihilation. But when greed and resentment begin to simmer among the working people, and disagreements between dragonriders have already culminated in the exile of an entire clan, the growing tensions threaten to result in the most unthinkable act of all: dragon fighting dragon! Source: I received a free copy of this book from Random House on NetGalley and opted to post a review. After Piemur's voice changed, everything changed. Masterharper Robinton had plenty of tasks for young Piemur to complete: however, Piemur felt out of place at Harper Hall and sought ways for his voice to be heard in a different way. When he stumbles upon a plot that could tear Pern's society apart, he sees it as an opportunity to make a difference and make his own mark in Pern's history. I haven't re-visited the Pern universe in a few years and decided against it before reading this book. I really didn't want this review to turn into a comparison between Anne McCaffrey's writing and Gigi McCaffrey's writing. I am so happy with my decision because readers who expect this book to read like Anne McCaffrey's work will be disappointed. However, readers who choose to read this book with the expectation that it is a different perspective on the world and characters that Anne McCaffrey created will be pleasantly surprised. I was over the moon to read a new perspective of the Southern Continent and Piemur's activities after Dragondrums. McCaffrey did an excellent job of reminding those of us who haven't visited Pern in a while of the events leading up to Piemur's assignment on the Southern Continent. In the past, we've read about the current Weyrleaders' perspective of the Oldtimers. It was slanted to favor the current Weyrleaders and their decisions; however, this book presents a different approach to the schism between the current Weyrleaders and the Oldtimers. It is a slightly more impartial view than before and it's easy to see the fundamental flaws in both parties' logic. We also see another side to some of other "beloved" characters, and how these characters we loved to laud in the past aren't as perfect as they were made out to be. As great as this unique and fresh point of view is, there are a couple of areas where the book could be improved upon. The author took great pains to make the setting rich and vibrant, but I felt that she "told" more about it than "showed." I also thought that the relationships between the secondary characters and Piemur were understated. Piemur has a pretty extensive history with many of the secondary characters that appear in the book and many of the deep, abiding friendships came across as "casual acquaintances." These friendships played a big part in Piemur's evolution from an impetuous, young boy to a fine young man, and I feel that the author's decision to overlook them will make it difficult for Pern fans to connect with Piemur's story. Even though I disagree with the author's decisions in a couple of areas, I think McCaffrey did a wonderful job of maintaining the timeline's integrity while providing readers with a different take on Pern society and inner political strife. I was absolutely enchanted by Piemur's story and I will happily read other books Gigi McCaffrey decides to contribute to the series! 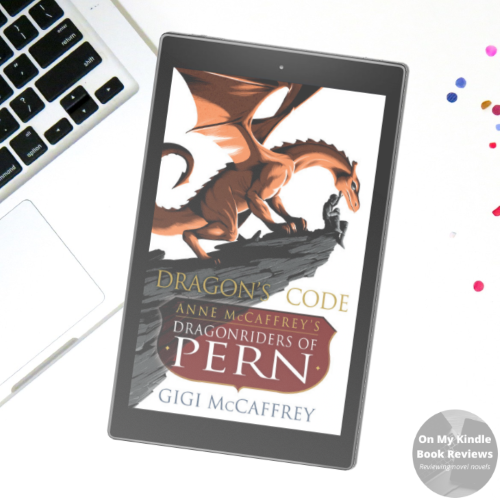 Learn more about the Dragonriders of Pern! 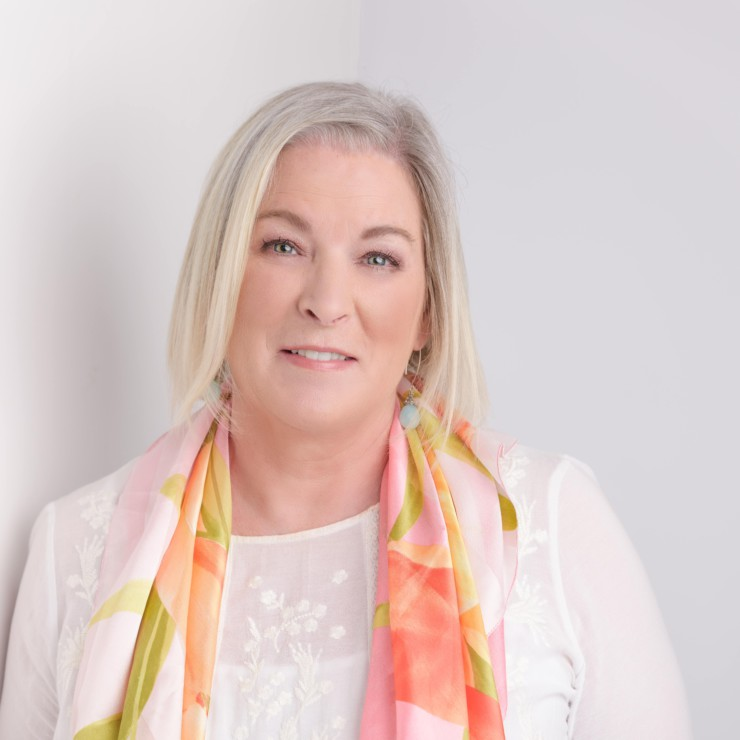 Gigi McCaffrey, courtesy of her website. Gigi McCaffrey collaborated with her late mother, Anne McCaffrey, on three short stories collected in the anthologies Great Writers & Kids Write Spooky Stories, Mothers & Daughters, and a German language anthology entitled Das grofbe Lesebuch der FANTASY. 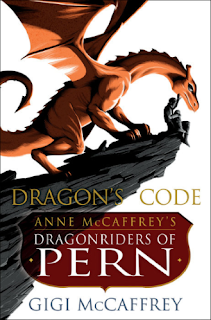 She also contributed an essay to Dragonwriter A Tribute to Anne McCaffrey and Pern, edited by her brother Todd McCaffrey. Gigi lives in the Devil’s Glen, in the garden county of Ireland with her husband, their son and the infamous hound, Sidney.